Donald Trump’s propensity for tweeting at odd hours got the best of him Friday morning as a rant about Alec Baldwin’s impression of him on the past two season of “SNL” contained multiple typos — the most crucial one being that he referred to the actor as “Alex Bladwin” not once, but twice. The typo-filled tweet went out at 2:42 a.m. PT, and was deleted not long after and replaced a half-hour later with a new version of the tweet with the three errors corrected. 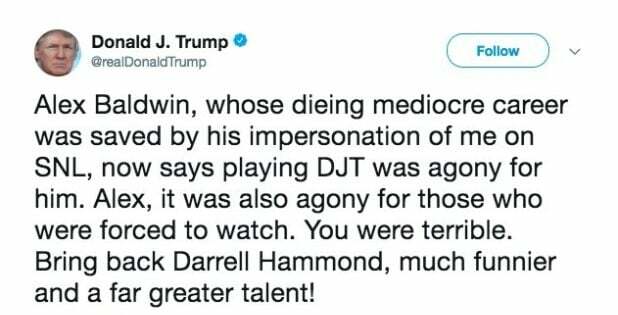 Baldwin has been playing Trump on “SNL” since the beginning of season 42 just prior to the 2016 presidential election, and has continued in the role through this season though the frequency of his appearances has been waning. 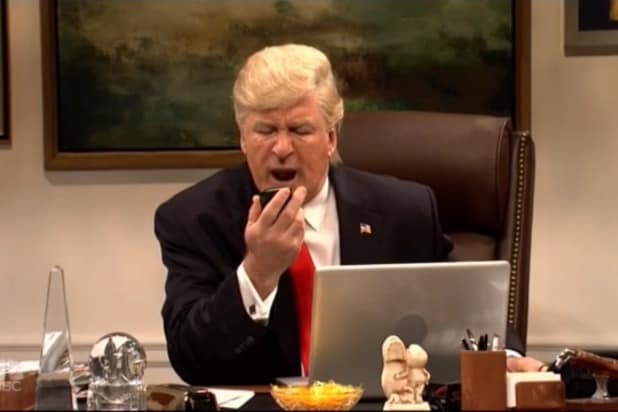 Baldwin only appeared as Trump in one of the four “SNL” episodes that has aired so far this year. The show returns from a month-long hiatus on Saturday.